Kelley Blue Book announced its annual “10 Coolest New Cars Under $18,000” list recently, and the 2013 Dodge Dart once again earned a spot on the list. “An American car with Italian roots, the Dodge Dart is a product of the Chrysler Group and parent company Fiat. This multi-national compact sedan offers its own unique combination of personalization and performance, including all the tech you need,” wrote the editors at KBB. 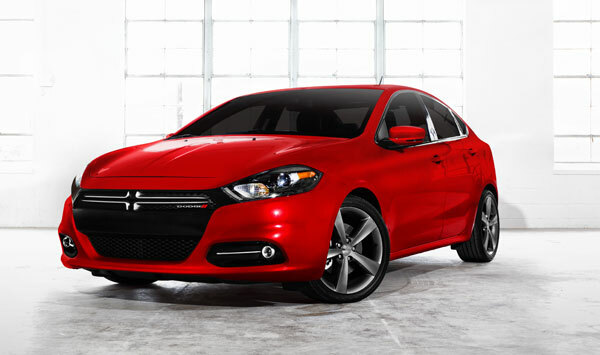 The 2013 Dart is a great value because it is packed with standard features for a low MSRP. The lineup consists of four models – SE, SXT, Limited and GT. Standard equipment on the base SE trim level includes 16-inch steel wheels, , tilt-and-telescoping steering wheel, power windows, height-adjustable driver seat, folding rear seat, four-speaker sound system, CD player and an auxiliary audio jack. The lower three trim levels come equipped with a 2.0-liter four-cylinder engine that delivers 160 horsepower and 148 lb-ft of torque. Fuel economy of the lower system has been set at 25 city/36 highway mpg. The GT model is equipped with a 2.4-liter Tigershark four-cylinder engine that produces 160 horsepower and 184 lb-ft of torque. Every new 2013 Dodge Dart comes with standard safety features including traction and stability control, antilock disc brakes, side curtain airbags, front and rear side airbags, and front knee airbags. To learn more, schedule a test drive today!